A decent day yesterday with most significant juveniles either winning or placed. A giant field of 19 two-year-olds. Must be one of the biggest fields seen all year. A few of these have been noted. Charlie Appleby's Magical Illusion returns are being beaten on debut. This son of Dubawi was sent off even-money favourite and finished fourth. I was left with the feeling connections were disappointed. The cheek pieces have been applied and stepping up to one mile may help. A well-entered horse who has valuable experience. The form of that first race has been franked, too. A good few are significantly entered - so this will be a tough race to assess and win. John Gosden has Kick On ran on well over seven furlongs after a slow start. This extra furlong will help. The stable also fields Humanitarian who cost $200,000 at the yearling sales. The fortunes of Martyn Meade read like a tale of rags to riches, when you consider many years ago he had to settle for horses at the bottom of the barrel. That isn't the case these days and he is a gifted trainer who knows how to make the most of his horse's ability. 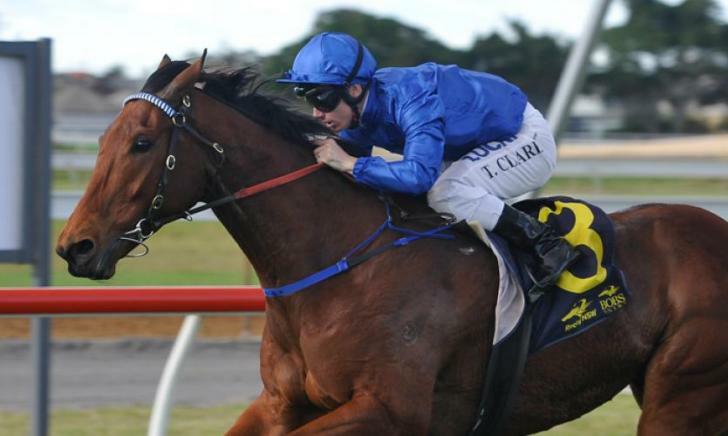 Fox Vardy is just one of three two-year-olds to receive a significant entry this season. 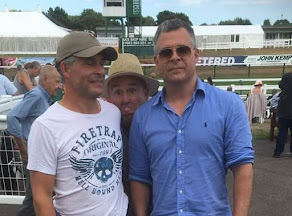 This son of Frankel is unlikely to be up to the lofty standards of Advertise or Confiding but, nonetheless, interesting. He was a couple of lengths behind Bangkok but far from disgraced and priced at a point which may suggest he needed the run. A step up in distance will help. A big price at 28/1. May have each-way claims. A huge priced debutante is Battle Of Waterloo. This son of Big Bad Bob cost £30,000 when purchased at the breeze-up sales. He has been given a class 2 stakes race entry a long time ago but nothing since. John Ryan can spring a surprise so nothing is impossible although this 100/1 shot needs to have hidden depths to shine here. Conclusion: A few entrants here which make it a touch difficult to assess. Magical Illusion is well respected and could well spring back to life after a fair but disappointing debut. John Gosden has Kick On & Humanitarian going. Both have claims. The betting is the best guide for the latter. Fox Vardy is one of few horses entered by Martyn Meade which adds to confidence. He will be a bigger price after being beaten by Bangkok. May have each-way claims at big odds. Magical Illusion, Kick On & Fox Vardy are of most interest. John Gosden has a few significantly entered two-year-olds going today and Buffalo River makes his third start after suffering two defeats. A narrow loss on debut and then third behind Royal Marine. That horse is a talent. The form of that contest has been franked by an effortless victory of Gosden's Turgenev. Odds-on for this, but looks a very difficult horse to beat. If drifting to a bigger price would be worth a bet. A tough-looking race with a few talented two-year-olds. San Donato has run well on all three starts and managed a short-head win after dropping in class after Listed race defeat. A battling type who has to defy a win penalty, which seems to be a problem for many juveniles this season. Converter is another juvenile who has to shoulder that burden. Mick Channon's charge won well on debut at big odds. Noted on our 10 Dark Horse Mailing. He stepped up in class next start but struggled with a classier group of horses. Perhaps he disappointed? Connections will be hoping that is the case. Not best drawn which doesn't help. The other significant entrant is Richard Hannon's Hua Hin who won on debut but failed to shine at all next start at Bath. A wind operation has been undertaken and a tongue tie. Clearly, there has been an issue with this horse. A wide draw is negative. Conclusion: Most of these have to shoulder a win penalty. Interested to see if Converter can bounce back but I would have to take a watching brief.